Getting tired of the endless grind in your everyday MMORPG? Is your time taken by work or study? Felspire does all the routine stuff for you so you can skip straight to the dessert – PvP arenas, challenging dungeons and massive guild battles. Felspire lets you play an RPG like an action game and cut straight to the good stuff while leaving the tedious grinding for another game. Felspire will be launched by 37Games this early August. Pre-register now! What makes the game different from others is the tempo will be quicker than other RPGs, because of the intelligent auto combat system which helps players skip the tedious grinding and enjoy the best parts of an RPG. You can just skip to the good stuff – and leave the monotony of grinding and leveling up behind them. The random loot system allows you to collect gear and completely customize their character. The refining system will let you create the unique sets of gear on your own! Dungeons scattered across the landscape of Eremos each presents different kinds of challenges for you and your party members. 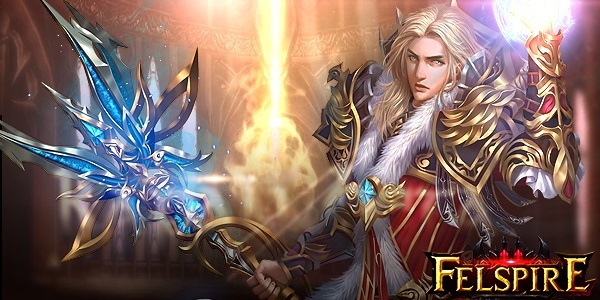 Join the Guild and GvG to explore the huge world of Eremos with your fellow friends. The Guild system includes Guild Hall, Alchemy, Guild Vault, Realm, Flea Market, giving you the chance to build your own faction from the ground up.